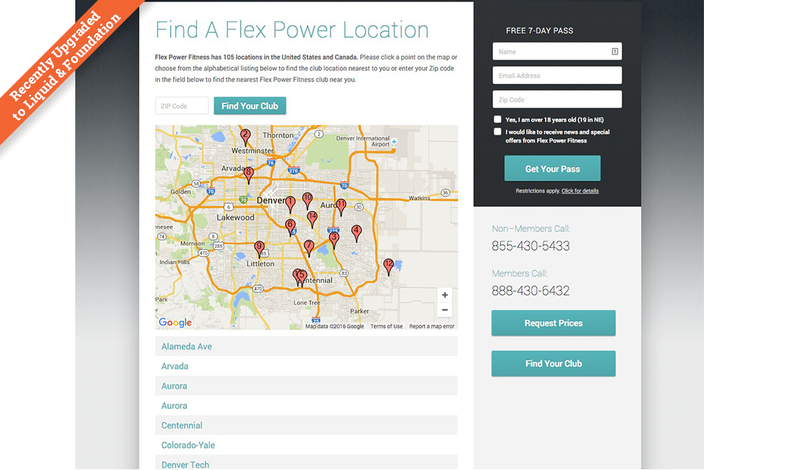 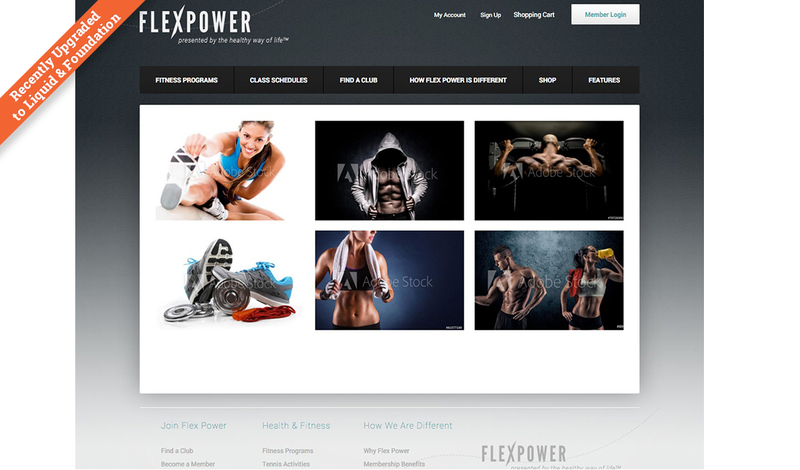 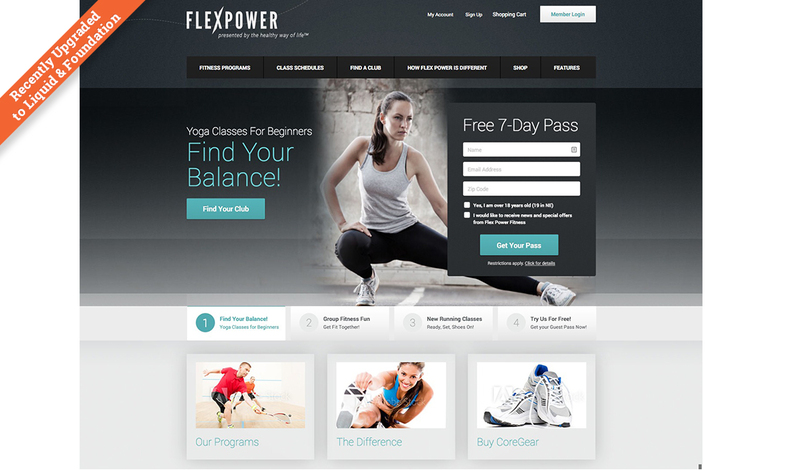 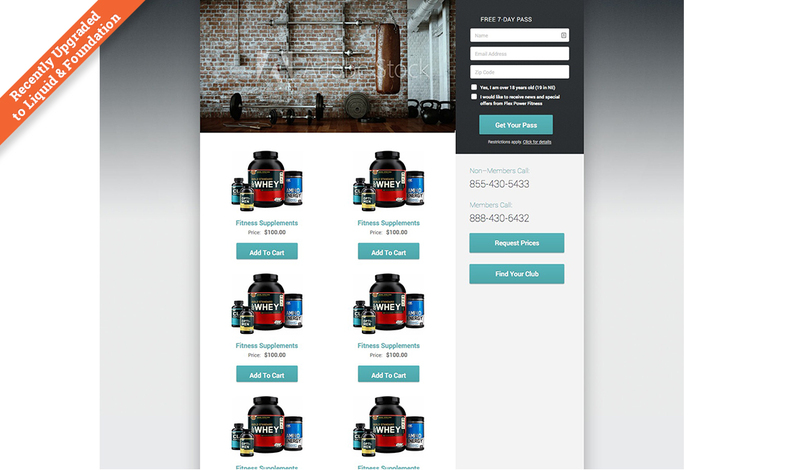 The Flexpower Fitness template has been updated to use the Foundation 5 Framework, making it responsive, and is set up to take advantage of Liquid Markup. 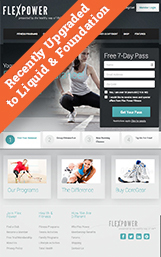 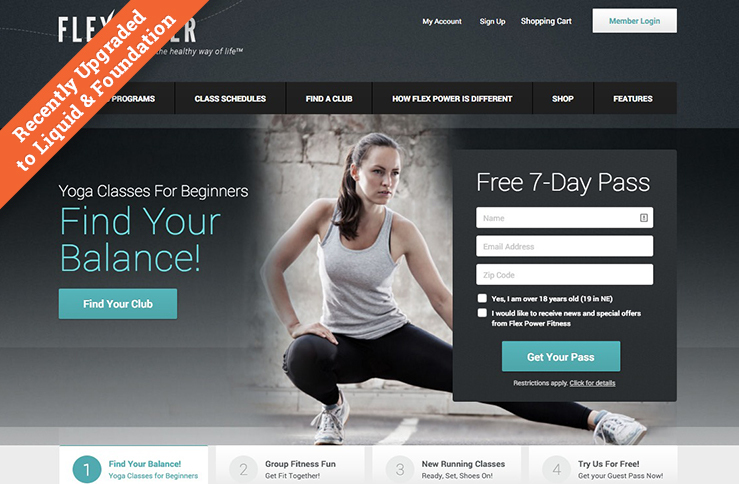 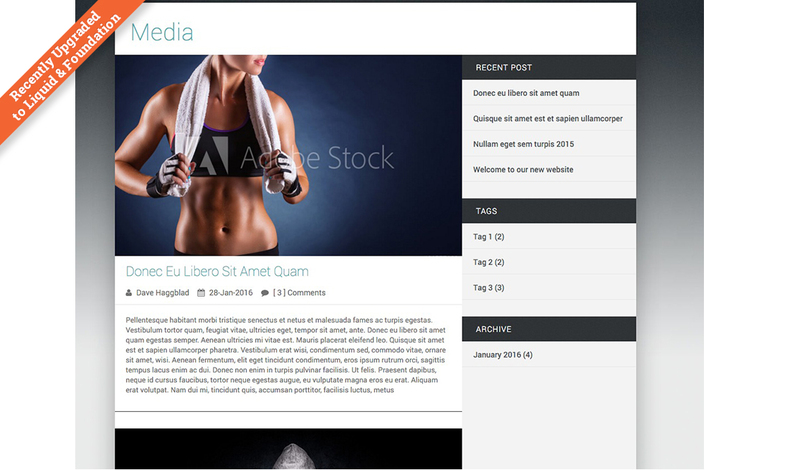 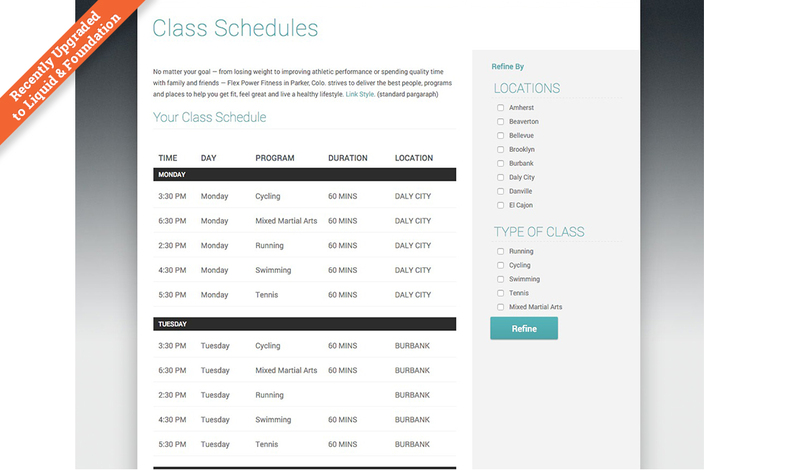 This template has some interesting and useful webapps, used for outputting the Fitness Programs offers, and allowing visitors to Find a Class and Find a Fitness Club. 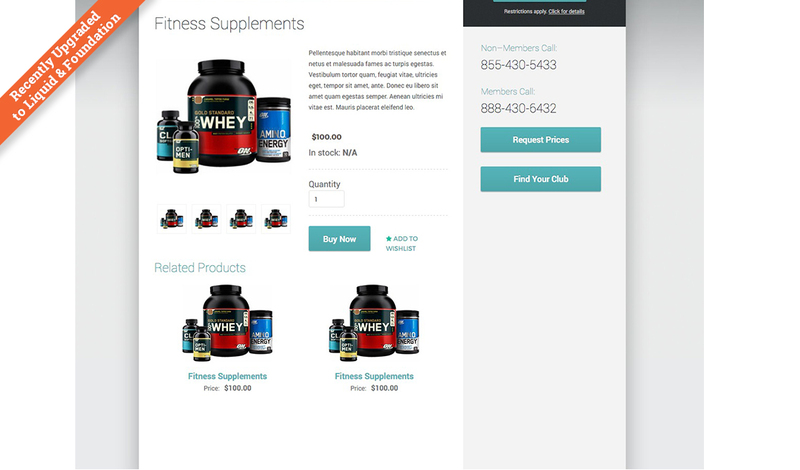 The Homepage Hero has a related Pagination webapp to control the slider navigation. 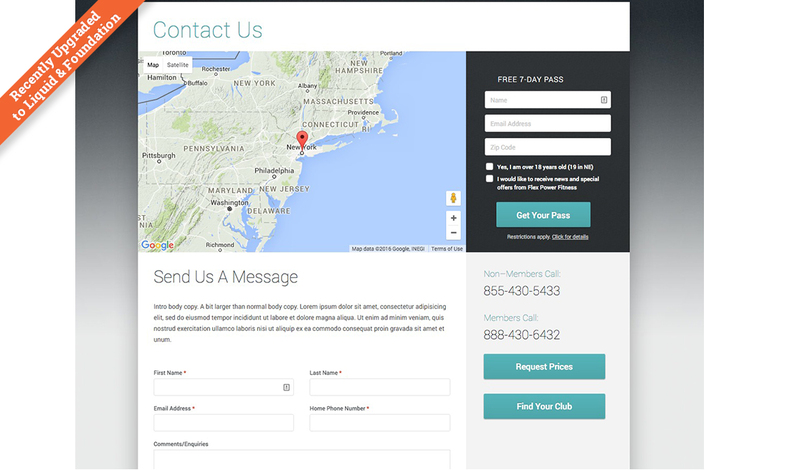 In the refresh we have added a Contact Us page with map, and have made available and styled all of the standard BC Modules, including the Blog using the featured blog post image. 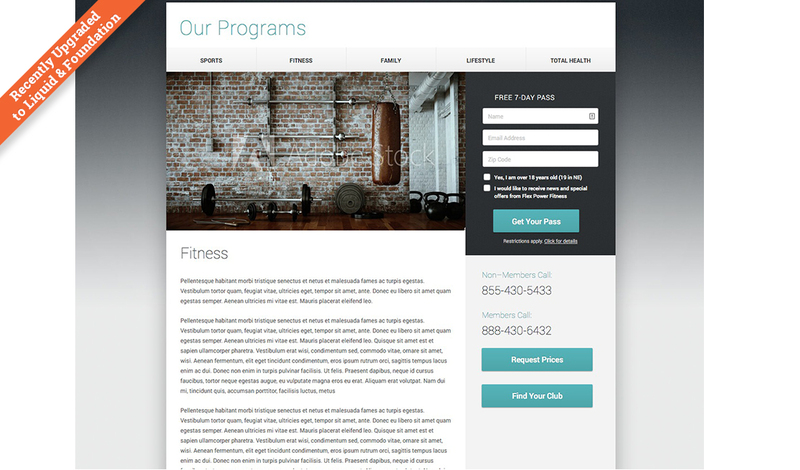 The Hero Slider w/Pagination control, Class Finder, Find a Club & Programs layout are web app driven making it easy for you and your client to quickly add and update content.